The new year is a time for resolutions, both big and small. Maybe you’ve decided to spend more time with your kids, get to the gym more often, cook a new dish, or start a new hobby. And then there’s your biggest resolution of all—getting a new job. 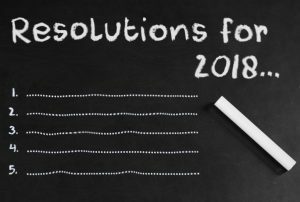 The key to making good on resolutions is to have smaller resolutions that lead to your goals. For example, if your goal is just to “be healthier,” you probably aren’t going to achieve much. If you set smaller goals like cutting your diet by 500 calories, working out three times a week, etc., you’ll hit your goal in no time. The job search is no different. 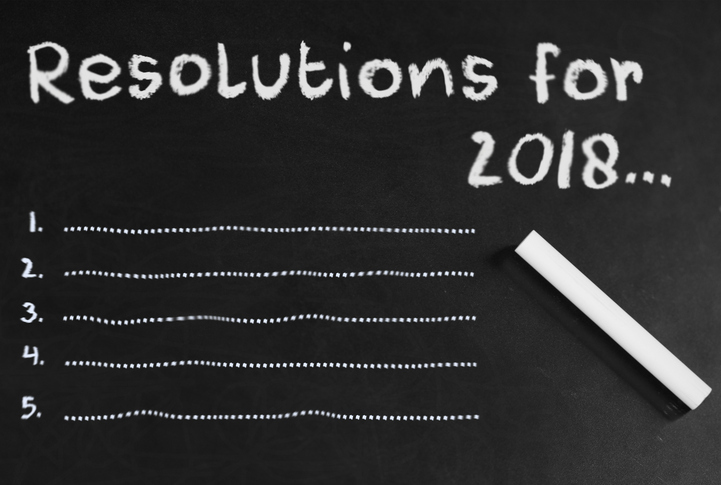 Here are a few job search resolutions to ensure that you get that dream job in 2018. Cover letters aren’t required by all companies and industries, but bringing one to an interview (or submitting one with a resume) can be a gamechanger. A well-done cover letter shows how your skills and experience make you the perfect pick for the job. Physically visiting the business you’re applying to and dropping off a cover letter can be a great way to get noticed. When you’re applying for jobs, ideally, you’ll want to cater each cover letter to the job you’re applying for. However, nothing is stopping you from basing each cover letter on a general cover letter for the industry you’re interested in. Now is the perfect time to start refining that letter. A great cover letter shows two things: how what you’ve done is relevant to the position you’re applying for, and why you want to work for the company. Since you can’t focus on the latter in a general cover letter, focus on the former. Filter through your accomplishments and list your strongest ones. If you don’t have any experience in the industry, find experiences in your career that are relevant. Try to feature your soft skills as well. And even if no one reads your cover letter, going through the process of writing it can clear your head and help you focus on what you’re really looking for in a new job. One way to stand out to employers is to build up your skillset, whether that means going online to find free learning applications or gaining certifications in new technologies. Really understanding your industry will grab the attention of hiring managers. One way to build that understanding is to start a personal blog where you write about new developments in the industry. Set goals for yourself, such as writing one or two blogs a week. After a few months, you’ll have a wealth of knowledge about your industry and a blog that showcases that knowledge. Writing a blog is a great idea even if you aren’t a great writer. However, if you use spellcheck and Grammarly (there is a free edition), you might even become a better writer over time. And writing well is a skill that everyone can use. And if you don’t have time for a blog? Subscribe to email newsletters about your industry. Industry blogs are good resources as well. Obviously, you should want the job you’re applying for—otherwise there’s no point in interviewing. However, you should go into each interview having prepared in every conceivable manner. You should already know almost everything about the company and where you fit in. Interviews can reveal more about the company and the culture. However, at the end of the day, learning about the company is not your end goal. You’re here to get a job. So do your homework. Know the ins and outs of the job, know your skills, and prepare a list of questions ahead of time. This could be your only chance to show the company you’re the right person for the job. Any questions about changing up your job search for 2018? Let us know in the comments below! I’m looking for a part time or work at home job. I can full time but perfer not to…I’m 66 years old. Just told my employer I would like to work pt. They said that would be fine. But looks like they’re going to phase me out instead. I’m not working because I’m bored. I need the money. Your nearest Express office can help you find the part-time job that is perfect for you. We have plenty of associates that are at a point in their lives where they’re ready for something flexible and different. Check out this blog to see if a functional resume might be right for you. Functional resumes are great when you’re thinking about a career change like moving to part-time work. Thanks! Hello. I am in a very interesting situation and I am on a strict schedule. I would like to update my resume and design a cover letter. I just lost my job, I’m a student, and a father of an 8 year old and I am may lose my car. I’ve been searching for work for a while now and no one is here to help. Before my phone bill is not paid because I’ve ran out of money and before I lose my vehicle, could I get help before I go off the grid. If you use the Express Office Locator, you can find an Express location near you. One of our Staffing Consultants would be happy to assist and help you land your next job. Here’s a blog to help out with your resume, and here’s another one all about cover letters. Thanks! Thanks for the short and concise advise in this article! Most blogs on the topic seem very cliche at best. This was a very good reminder of the main things we need to focus on in our job search journey. Additionally, you posed in a way that really encouraged me with a few things I can actually grab hold of in the process! No problem. Thanks for the comment Joe! My situation has changed I drove a truck over the road for over 20 years I can no longer do this due to medical reasons, that doesn’t mean I can’t work I just have to find a different kind of work I can do,I’m enrolled in college now studying IT. Certainly different for me at the age of 54. Any advice? Congrats on enrolling in college! We love your optimistic outlook. The best advice we can give is to try and network while you’re on campus. That doesn’t mean striking up a conversation with every person you meet, though. Just forge great relationships with your professors and peers. That way you’ll already have a supportive network when you graduate. Oh, and keep an eye out for a future blog. We plan on writing one on how to handle ‘nontraditional’ college experiences. Thanks again! I have an 2004 MBA and I been on Disabiiity for 10 years. I am ready to go back to the corporate world and use my MBA. I jave many years in Administration and during my disabiilty I’ve worked as at home online as a distributor. Looking for an office job ex. Executive Assistant. My resume and cover letter is done. Any suggestions? Given that your recent experience was in a different industry, consider retooling your resume for your office dream job. What skills did you learn or use during your time as a distributor that apply to work as an executive assistant? We recently wrote a blog about getting back into the job search after a gap. Although you never had a gap in employment, many of the points we focused on apply to a career change as well. If your main problem is dealing with a gap in your resume, you might want to check out our blog Getting Back Into the Job Search After a Gap. That should give you some ideas on what to do about that period of unemployment. If you haven’t yet, get in contact with an Express office near you and let them know about your situation.